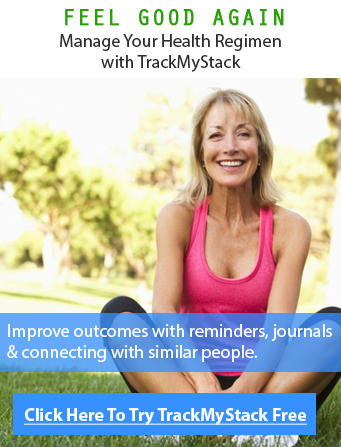 Focus Formula – Does this Smart Pill Even Work? If there is one product that is spot-on in its advertisement campaigns, it is Focus Formula. This product aims to power up your brain and improve your memory and recall, concentration, and mental focus. 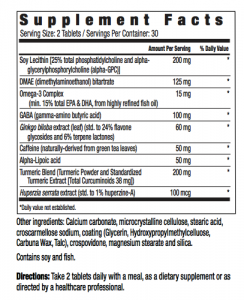 The addition of the DHA component, plus an omega-3 fatty acid for cell membrane has greatly impressed us. A range of nootropics in the market seem to miss out on these ingredients even when extensive research on omega-3 has been proved to benefit the mind and its functionality. Focus Formula capitalizes on this research finding by offering consumers more health benefits than a lot of other rival products. Focus Formula is produced by Windmill Health Products. While this name might not sound too familiar, this manufacturer has successfully placed its product on several online retail websites. It is also in pharmacies and convenience stores nationwide unlike other brands which are sold at a discount exclusively online such as Lumonol. For more than 40 years, Windmill Health Products LLC has been at the forefront of producing innovative products to meet market changes. Windmill offers cutting edge and clinically based formulas. As an industry leader, it also brings top performing, national direct response brands to retail channels. What ingredients does Focus Formula contain? This supplement contains vitamins C, E, B6, B12, and folic acid. This supplement is made up of soybean phosphatides complex (lecithin), DMAE, DHA complex, eleuthero root extract, ginkgo biloba leaf extract, alpha lipoic acid (ALA), gotu kola leaf extract, vinpocetine, huperzine A. It also has brain food blend consisting of blueberry juice along with spinach leaves as a bonus. The pills come in a black packaging in 3 sets one for your car, one for work and one for home. 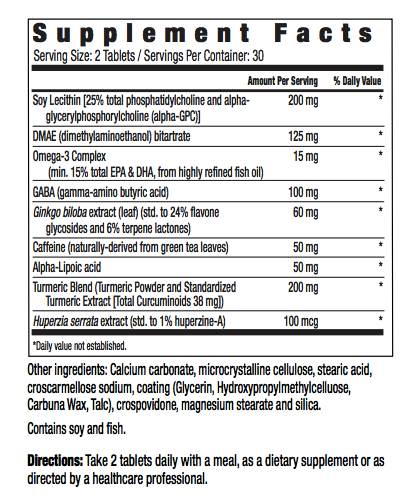 The supplement cost is about $15 USD and is sold at Wal-Mart and GNC. Make sure you keep track of your intake using our free supplement tracker. The cheap price can be attributed to some of the ingredients included in the formula, such as vitamin C which is readily available. Does Focus Formula Work? or is it a SCAM? The product claims to help with memory, concentration, recall, attention, alertness, mental clarity and blood flow. Trials of using Focus Formula have shown that the ingredients are in moderate amounts to optimize cognitive enhancement, and there aren’t side effects (if any). After searching various websites to determine side effects or negative reactions to this supplement, we weren’t able to find any reports. However a headache could occur and it may keep you up at night because of the caffeine content, so try to take this earlier in the day. The product works greater in the beginning and promises health benefits to all consumers. If you are looking for something more potent you can consider Phosphatidylserine as well, or other potent branded supplements like MaxSynape or Lumonol. I noticed a real difference in about a week. Its like I got an upgrade on my mental processing power. I am now 2 weeks later, I can process information and recall information much master. I recommend you try this and see if it is for you. Over 71% of the U.S. adult population uses vitamins or nutritional supplements to improve their health. VMS intake has increased in the last decade and continues to grow each year. As a result, consumer awareness, scientific studies, positive media, mass market distribution, and the aging U.S. population have substantially contributed to this growth. Windmill has provided quality nutritional supplements to support customers’ quest for optimal health and longevity for a low price. 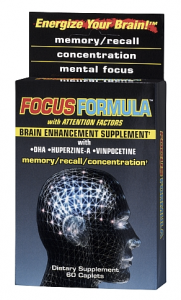 Focus Formula works well to energize your brain and improve memory and recall, concentration, and mental focus. It boasts nutrients such as vitamin C and natural components such as omega-3 fatty acids for brain function maintenance and cognitive improvement. It is one of the cheapest supplements that you can find in the market, going for as low as $14.95 per pack. This price makes it very affordable for people and helps consumers enjoy the nootropic benefits of supplementation rather easily. To buy it online you can click here.